If you want a thriving writing career, you need to find and develop critique partnerships. Though some writers might argue against this, in my experience, behind the most talented and successful novelists stand a host of supportive—yet honest!—peer reviewers. Notice, I said peer reviewers, which means other writers. Those who understand the craft, can recognize when something in your story isn’t working, and have the ability to articulate why. Though some may argue against my premise, I’ve yet to encounter a novelist who signed with a major publisher without the help of a critique partner. We’re notoriously self-deceived and blinded to our own areas of weakness. And yet, despite all the proven benefits (and by proof I mean in terms of a successful career), numerous writers still attempt to build their career on their own. When asked why, normally a few reasons surface. 1. I’m afraid I’ll lose my voice. The solution: 1. Develop your voice so that it becomes as much a part of you as your hair color, alterable only by choice. 2. Equally important, grow your confidence so that you’re able to use that which is helpful and discard that which isn’t. 3. Increase your knowledge. If I were to hire a math tutor who told me 4+4=10, I wouldn’t suddenly question my addition skills. I’d get a new tutor! 2. I don’t have time for critique partners. Why are we in such a hurry? Perhaps we forget that the most enduring works take years, sometimes decades, to build. And in writing, I’m of the opinion that working with others actually saves us time—in terms of our overall career and readership growth. It’s one of those “pay now or pay later” deals. Like with anything of lasting value, we get out of it what we put in, and I’d much rather receive critical comments pre-release than post. 3. I can’t find a quality critique partner. If this is you, I have two words: find one. At the last writing conference I taught at, less than one third of my students, in two classes, had critique partners. And I told them what I’m telling you now—if you want to grow and present your best work, you need to find your peops. Their response may mirror yours: But how? To which I replied: Ask around. My students had an entire classroom filled with prospects, but you’ve got an entire web. Join online organizations like ACFW and writing groups on Facebook. Reach out to other novelists; the worst that can happen is they’ll say no. And if your first, second, or third critique partner isn’t a good fit, don’t let that derail you. Simply learn what you can from their feedback and keep looking. What about you? Do you have a critique partner? If so, what do you appreciate most from that relationship? If not, did any of the reasons I’ve encountered mirror yours? Would you have any to add? Leave a comment to get your name in a drawing for a ecopy of Singing in the Rain by Jennifer Slattery. "Why Every Writer Needs a Critique Partner" makes such a strong claim that I believe it is demonstrably false. I've read that up to 50% of published writers do not use critique partners. I know Liz Fielding lets no one ever read her copy until it is sent to the editor. Of course, a lot is going to depend on how you define 'critique partner'. I suppose you don't mean simple beta readers. If you have a CP who is at the same stage as you are as a writer, how much advantage can that really be? Wouldn't you want a partner who knows more than you do? But then how much help would you be to them? Statements like: "Most New Writers Would Benefit from Having a Critique Partner" or "Many Successful Writers Use Critique Partners", would be very supportable. The problem is this: a critique partnership is like a marriage. Half fail. There are good and bad husbands and wives. Some outgrow the others. How do you tell the good from the bad and who is to say the really good ones want a partnership with you? I was in a seminar at a writing conference once where we filled a whole hour with horror stories about critique groups. How some found the same problem with every story they read. How some had to be kicked out for harsh views. One club even disbanded and then secretly reformed under a different name to get rid of one particularly bad member who would not leave! While these were in a group, it does spotlight the problems with many individual members. What if you get one of them? What if you don't even realize that they don't know what they are talking about? And what about when you wake up and do find out? In a way, it is like being each other's doctor. It might work. True. But then again, it might not work and even make things worse. I have a favorite author and she told me a very sad story about her best friend and critique partner. They worked well together for years and as my author friend got published and the other did not, the friend dropped off. The friendship also ended. This happens in marriages, too. Having a CP can be great, if you can get a great one! It's a tough thing, and I couldn't do critique groups for the very same reason. A lot of folks take a tiny splash of power and make it very, very big. Yeah, Vince, it could go terribly wrong. Jealousy is a major factor, so you have to make sure you want that person's success as much as you want your own. I think being on the same level is a GOOD idea because you can learn together, but that's just me. And you do have to test the waters to see if that person is a good fit. I don't do larger critique GROUPS any more because there is inevitably someone who will snark (is that a verb) or thinks every word they write is inspired directly from God and they won't change a thing, which is a waste of my time. Relationships ARE dicey, aren't they? Great thoughts. I rely heavily on my critique partners, and have different partners for each aspect of my writing. I have certain critique partners who preview/give feedback on keynotes, others who critique my articles, and still others book projects. But my partners haven't remained static. There have been some that proved to be a poor fit right away, and others I outgrew. When that happens, I intentionally seek out authors I enjoy. I've not experienced jealousy nor had I ever considered that could be an issue. That's interesting. My partners have demonstrated they are invested in my success (and I in theirs) and some have become dear friends. I especially love those who pray for me and are available for brainstorming sessions. Vince I give a critique group credit for being published and I was in several and you're right, they didn't all work. But another way you're right, once I was published and had deadlines and was writing fast to get new words down, I no longer belonged to a critique group, there just wasn't time. But in the beginning, those ladies were a huge help to me. It really is important to find what works for you! I found that what a critique partner liked and didn't like might go directly against what an editor was looking for. Same for editor vs. editor. They've all got different views and ideas. But for me as a newbie, finding Sandra, who also worked quickly, was huge. I don't do pokey people well... And Sandra wasn't afraid to jump in and work hard and fast right beside me. And how about those Nebraska storms????? I'm actually responding from Cape Cod, and the weather's beautiful. hahaha! Interesting enough, we (in NE) haven't had many significant storms this spring. We've only "fled" to our basement once! I can understand why you rely on editors instead of critique partners, especially if you have tight deadlines. For me, critique partners are necessary. I almost always get about 1/3 of the way into a story, send it to one of my most trusted partners, and learn the story stinks terribly. Then I begin again. :) I've been very blessed to have connected with very gifted and Christ-filled critique partners that can often see things in my work that I can't. Learning this in the earlier phases of my writing helps me save time on rewrites later. Gifted editors are a blessing! My best critique partner was Christy Barritt. We were both unpublished at the time and there were four of us. She remains a good friend though I haven't seen her in a while. And she, and the other ladies, are who gave me to courage and support to go to my first conference, which led to my first sale. So the critique group is part of my foundation. Part of what helped me batter my way through that stubborn door to publication. I learned so much from those ladies, too! Jennifer, this is a good post and so worthy of our attention. I've had two long-term crit partners. They have proved invaluable. The first one was strong on structure and actually taught me almost everything I know about story structure. She was good at the big picture. The current one is good at line-by-line. Jen, you are right, we don't tend to see the flaws in our work and we need that second and sometimes third pair of eyes. I also agree with Ruthy that a crit partner isn't always necessary when you've got a publishing house and an editor. Although it's nice to have someone to run things by, so keep your friends! I like to work with a person for a long time so they can say, "Aha, you're doing that thing again" and I can say, "Sheesh, I'm sorry, I'll fix it." It's good to know each other's styles and foibles. It's about the same as contest judges: you won't take every piece of advice, but you can't take it if you don't have it. Really, if we want to be the best we can be, we've got to get it somewhere...crit partner, beta reader, editor. I'll be in and out today, I'm having my bimonthly brunch with said crit partner, which is always a fun day. That's awesome that you've found partners that are both gifted and that you trust! My critique partners have become such special friends! Some have phased in and out of critique relationships but remained cherished friends. I especially love when we can pray for one another's careers and projects. I had one crit partner for the better part of 20 years, before she moved away. I've had my current one for two years and hoping for more. I was either lucky or God wanted me With These People. 20 years? That's so awesome! And I love how God connects us with those who can bless, support, and help us in our careers and growth. Good morning, Jennifer! I love critique partners. I've been in groups and had a couple of one-on-one crit partners over the years. One who was my rock when I was first published and for my first few books. That said, I no longer have a critique partner because I've learned to trust my gut. If I find myself questioning something, chances are, someone else will, too. Though that doesn't mean I don't occasionally take a portion of something to someone just to get their take on it. But for the most part, I've learned to trust my instincts. I will so, though, that I believe critique partners are vital to new writers. And you need to constantly pair yourself with someone who is at a slightly higher level in their writing than yourself. They will help you to grow and a writer and push you to bring out the best in your stories. And isn't that what it's all about? Hi, Mindy! So fun to "see" you! I love your suggestion that writers pair themselves with those who are one step ahead of them. Great advice! I've had a critique group and continued with one of them over the years. I've also added another cp. And I've loved all of them! I couldn't have gotten published without them. I started finaling in contests after I joined that first critique group. And since I added the last one (Seekerville's Janet Dean! ), I turned in several books with no revisions. So I owe a LOT to my cp's! I should re-word one of those sentences... I turned in several books that required no revisions. Wow! That's amazing! You must have very gifted critique partners! "Having a good marriage is not so much finding the right person. It's being the right person." The fact that you have multiple CPs and each has their own area of expertise changes everything. That would be great. This makes me think you are the right person to be a CP. "Why Every Writer Should be a Plotter." That sounds like an interesting topic also--potting, pantsing, and all things in between. Yes!! Excellent article and advice. I've been writing for ten years now in children's market. Now that I'm attempting to write women's fiction, I know I need critique partners. I couldn't find any who had the time. I almost gave up until God reminded me that I hadn't prayed about it. "You do not have because you do not ask..." So I committed it to prayer and three years later, I have three critique partners! They've really helped me with my WIP. I hope they feel I have helped them! God is good. In all seriousness, I think one of the most memorable topics in the last ten years was one about five years ago on having a co-author. Having a CP is one thing. Have a co-author would seem to be many times harder. One post in over 10 years. Yet the interest is very high. I think it is probably very hard to find quests. I'd love to hear about working with a co-author. Hint! I just downloaded "Dancing in the Rain"…the cover, title, and theme is something Ruth would do…and I love her works! I like romance writers who take risks with topics. Just for today: Do you both have your own set of CPs? Are there any co-CPs? Do the co-CPs even know each other? I find this idea fascinating. Thanks for the kind words regarding our story, and for downloading it! I hope you enjoy it! Interestingly, I met my co-author in an online critique group. We seemed to hit things off and so started critiquing each other's work, and found we had a lot in common. For this novel in particular, it helped that we had clear boundaries. This was largely her baby, so she had final say in decisions we disagreed on. Toni, I agree. I floundered, not seeing the things that stuck out to Sandra... but when she pointed them out, it made so much sense. Jennifer!! Awesome post! Yes, critique partners are so needed! I've got a few critique partners I'm working on my story. It's great to see you here, Jennifer! Thanks for the great post. I have no critique partners for my writing but I do have a trusted friend who keeps me on the straight and narrow in my everyday life. I know that she won't be unnecessarily negative but she does offer me the constructive thoughts that I sometimes need! Thanks you so much for posting about critique partners. I haven't read what other's have wrote about this post, but I have a questions that has been on my mind for a good while. I love the critique loop with ACFW, the first time I submitted, it was a story I thought was ready. Boy, was I wrong. I believe I only submitted my first two chapters and didn't know anything about passive writing or deep POV. You can imagine how I felt. Chewed up one side and down the other, but once I stepped back and detached myself emotionally, I learned so much. I have spent the past year, over a year, editing. I didn't submit during that time. This week, I submitted that first chapter, again, and though I did get constructive comments it wasn't nearly as bad. So, for my question, as much as I like the critique loop, I wouldn't mind being in a smaller group. I know I can ask the person who manages the loop to help with it, but what happens after every chapter has been critiqued and I've moved on to writing my next book? I don't think I want the first draft of my next book critiqued until I have edited it couple time. Do you just leave the group and find another one each time? 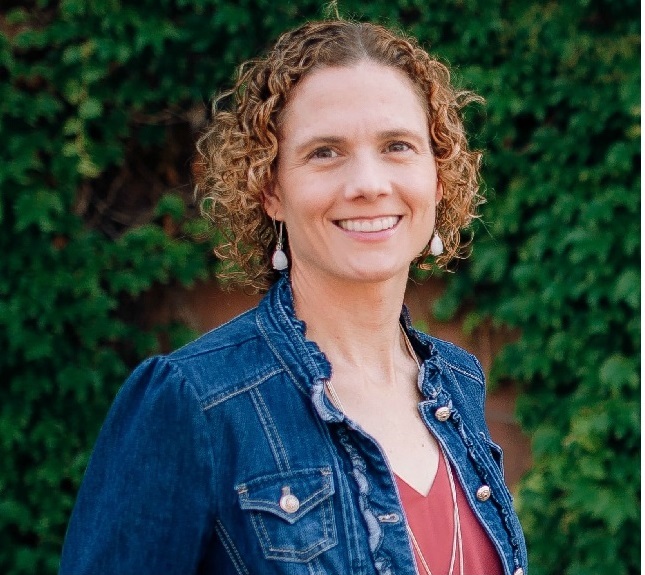 Do you find that you have time to critique their work, work on a first draft, and in your case, Jennifer, write a blog post, prepare for bible study, or a speaking engagement? I guess what I'm saying is I would love to be apart of a smaller critique group, but I wish someone could explain the logistics. Until than, I will be submitting to the big loop. There are still good writers with great suggestions. Alisa, I'm not familiar with how that critique group works. But one thing you could possibly do is find a smaller group that meets less often. Then you can send bigger chunks of your manuscript to be critiqued. I like to get at least halfway through before I get something critiqued. Sometimes I wait until I've finished. But one of my cp's likes to send smaller chunks. So each of us just sends when ready. Thanks. That helps to know. "Dancing in the Rain" is one of the most beautifully written romances I've ever read. The theme is so emotionally captivating that it takes me back to the 1950's and my first viewing of "The Magnificent Obsession". I was a child but no movie has moved me as much since. The five-sensing is extraordinarily delightful! You not only five-sense what’s in the scene for all to experience, you also show the heroine's five-sensing which is very fine-tuned to what a blind person would be sensing. I've never seen five-sensing done this well. Ever. How can a reader not quickly fall in love with the heroine? She is every bit as sympathetic as the heroine in "The Magnificent Obsession". (My standard for sympathetic heroines). I also feel that "Dancing in the Rain" has the most sensitive, pervasive, and to-point use of Christian values than most "Christian Fiction" I read. I'm only half-way into the book at this point but I'll predict right now that it will win awards. And don't be like Liz Fielding. I once told her that she wrote the best romance not to win a RITA. She told me that they failed to enter the book! Everyone thought someone else had sent the paperwork in! Don't forget to enter! I can't wait to review the book but I worry my review might not be as good as the book merits. I am biased and probably the best prospect to read your book. One, I love themes that take risks. Ruth Logan Herne and Liz Fielding are always doing this to challenge themselves as writers. Two, I love dogs and grew up in Morristown New Jersey, where the Seeing-Eye dogs were centered. Then I trained dogs in the military. Three, I also often write that I'd like to see more Christian values and genuine inspiration in Christian fiction. This book has it! 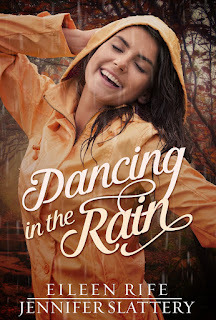 "Dancing in the Rain," for me, is like a perfect storm of all that I like best in a Christian/Inspirational Romance. I am a big promoter of critique groups. I have three. I founded the Aurora Illinois chapter of Word Weavers because I was so desperate for critiques. Years later I also joined one of Word Weavers online groups because a once a month critique wasn't enough. Recently, I join ACFW and am in one of their small critique groups that critiques once a week. Each group has its unique benefits. I have two novels published and more on the way. Critique groups are crucial to growth. Especially those that are honest bu kind. I love helping other authors through critiques and appreciate their insight so much. I'm reading Dancing in the Rain right now and thoroughly enjoying it. Jennifer's writing style is compelling. She draws me into the action.